It’s time to cross the boundary between what was and what can be. Lourdes. Cathar Country. The Dimension of the Blessed. 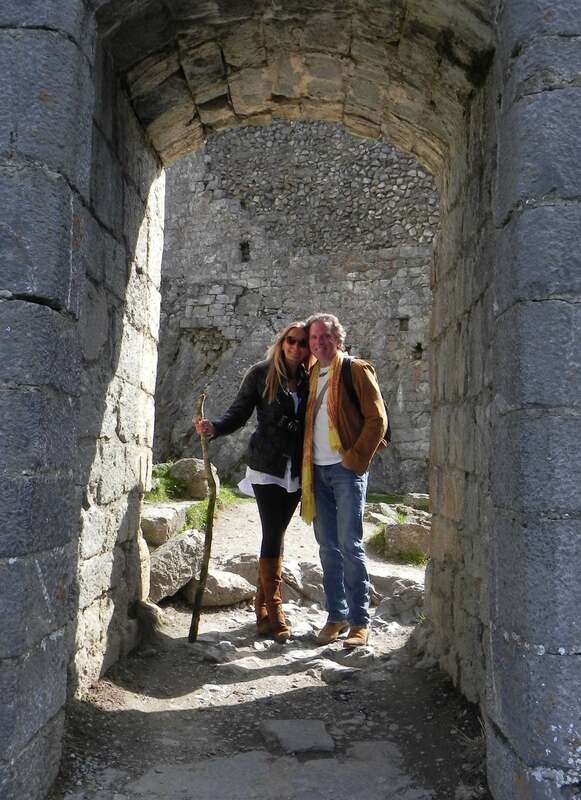 An Inspirational and Healing Journey with William & Clare Henry to one of the most powerful sacred sites in the world. From William and Clare: “Over the past seven years we have been spiritual directors leading hundreds of pilgrims on journeys to Egypt, France, England and Italy. Our unique focus is on the art of ascension and the secrets of the light body. We follow in the footsteps of the Essenes, the Cathars and other holy ones who have attained the ultimate spiritual experience. The many blessings and memories we have received on these journeys remain with us. Now, you are invited to journey with us October 5-14, 2017 as we return to southwestern France and one of the most beloved and beautiful sites in the world. Beginning in Languedoc and ending in Lourdes, we will take you to an area of France of unparalleled in mystery and mysticism. 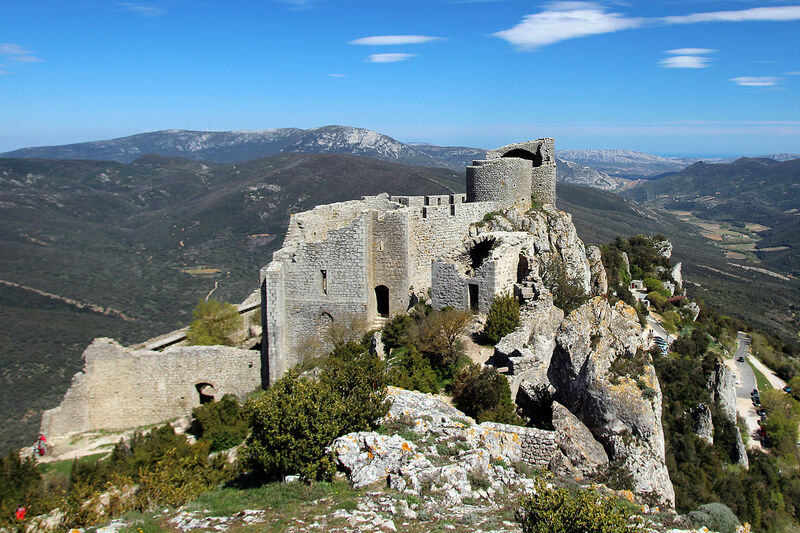 It is a land steeped in the lore of Mary Magdalene, the Holy Grail, the Knights Templar, the Cathars and a place of deep connection to the Dimension of the Blessed. During eleven days we will visit ancient sites, spectacular chateaus, medieval castles, pristine mountains, the Mediterranean Sea, the magnificent Pyrenees, abbeys, Black Madonnas, and sites of great mystery. Along the way, we will uncover and explore ancient codes in the sacred art of ascension! This trail is holy. The journey is powerful. Mind expanding. 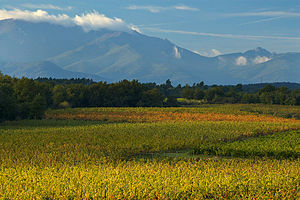 The rugged, natural beauty of the Languedoc is breathtaking. Each day will include explorations of the sacred sites, special meditations, discussions, and activities to help deepen your connection to this extraordinary ancient land and tap into powerful aspects of your self. We will do our best to help make this feel like an individual retreat for you. Our destination is the healing waters of Lourdes and connection to the Dimension of the Blessed. Pilgrims are different from ordinary travelers in that they journey with purpose. For some, the journey is to remember, for others it is to reconnect, for still others it is to experience the miraculous. 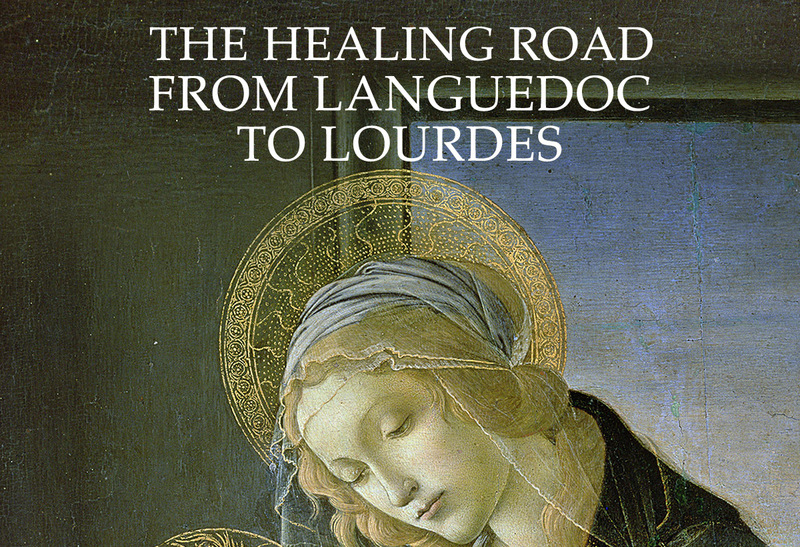 On this journey, we will spend four days in Lourdes, one of the holiest places in the world. Located at the foot of the French Pyrenees, there is a healing energy that is present here. We will bathe in the miraculous healing waters at the site of St. Bernadette’s vision of the Virgin Mary in her light body form and much more. For years, William has been writing and presenting about the light body and ascended beings. History knows them for their white robes, which symbolize their attainment of the light body. The Pythagoreans, the Essenes, the Cathars are among the many who knew the secrets of this robe of light. 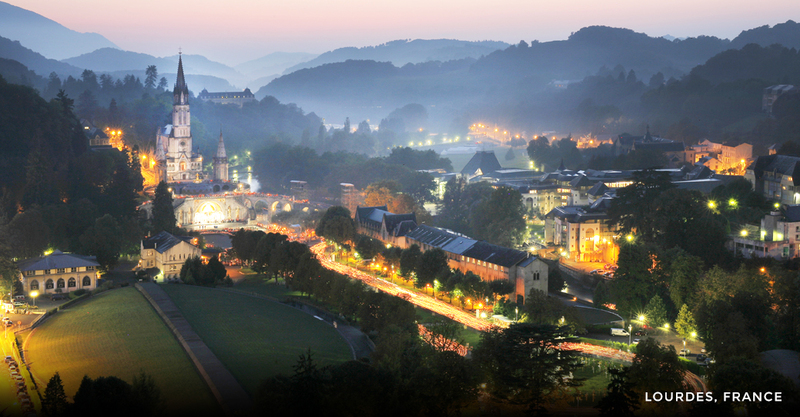 The origins of Lourdes as a sacred site began when a young servant girl named Bernadette Soubirous claimed to see a radiant vision of a white-robed lady on February 11, 1858. Over the next five months the lady would appear 17 more times to Bernadette, visions that the Roman Catholic Church (though initially skeptical) would declare authentic appearances of the Virgin Mary. Miraculous cures have been associated with Lourdes ever since, and today the town welcomes more than five million pilgrims a year. Do these visitations or apparitions represent actual visitations by a spiritual being or presence deliberately sent here to instruct us? We believe so. More, Mary’s apparition or light body is in perfect alignment with William’s work on the Rainbow Light Body. We will explore this powerful connection during our presentations on the tour. Please consider joining us for this life changing and exciting pilgrimage to one of the world’s holiest places and places saturated with the light of our future selves! Email William Henry for a tour brochure: whenrytn@earthlink.net. This is our fifth tour to this region of France since May 2013. Many dear guests have joined us. With past experience, it is advisable to book early to confirm a place on the tour.